One - It's easy to group and read the blogs I follow – I am keeping up with them much better. Two - When you look at a post via Bloglovin, that blog gets a page view – this didn't happen either on Google Reader or when looking at a post in your Blogger Dashboard. Three - Bloglovin emails me every time a new follower signs up to follow – so I can then check their blog out and follow them right on back. You need to set this up in your settings – you can choose other notifications as well. 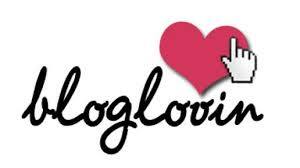 Four - Bloglovin also helps you find new blogs to follow. If someone you follow is on Bloglovin you can see who else they follow or who is following them. And you can also look at popular posts or blog types or use the search function. I do find Bloglovin to be a bit slow at times. Hopefully they will sort that out. Ps It is sad that Recipenewz has disappeared – hopefully it will either come back or someone else will set up another site like it! I agree! I've unsubscribed to a lot of blogs and started following with Bloglovin. I like it a lot better for all the reasons you mentioned! I switched over to Bloglovin also. I tried digg and feedly but did not especially like them. I do admit I miss google reader.